GOP presidential candidate and Florida-themed Ken doll Marco Rubio is running a campaign so thrifty that staffers have been stealing wifi. At one of the campaign’s Nevada offices, staffers tried to do their part to live up to the less is more mantra. After noticing a pizza place next to a campaign office had free wireless internet that required a password, a staffer walked over and bought two pieces of pizza and asked for the internet access code. Rubio’s fundraising effort is on the upswing; perhaps his staffers will be able to afford Starbucks and its free wifi soon. 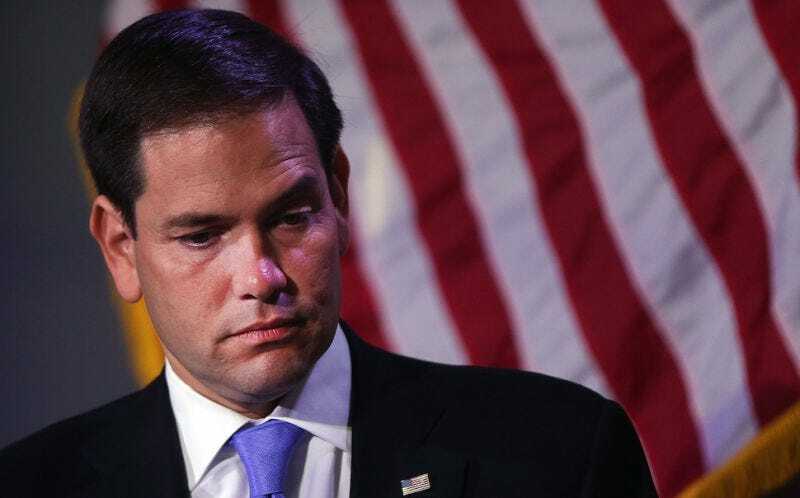 The Rubio campaign confirmed the AP account, saying they used the pizzeria’s Wi-Fi for the first three weeks they were in the office until it suddenly stopped working. They also confirmed that the Las Vegas office does, in fact, now have its own Wi-Fi, though they opted out of a Wi-Fi cable bundle to save money. Instead, they watch TV on a staffer’s Apple TV.